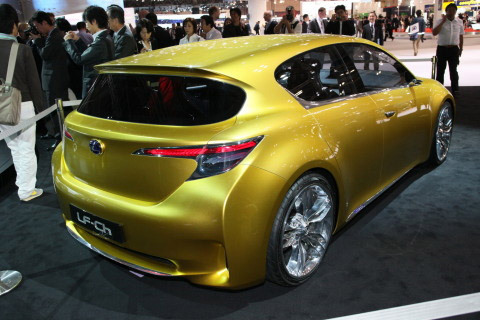 New details and a video have leaked ahead of the Lexus LF-A's debut at the Tokyo Motor Show. 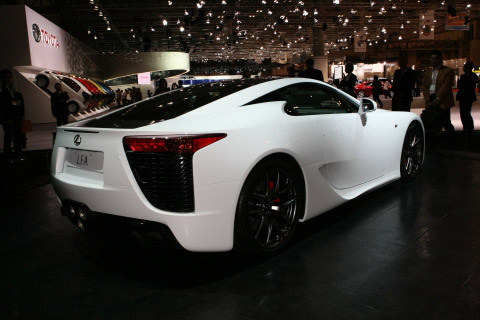 Inspired by the LF-A Concept, which debuted at the 2005 North American International Auto Show, the production model receives a heavily revised front end, redesigned taillights, and a three-tailpipe exhaust system. Other design details include a power-deployable rear spoiler and 20-inch BBS wheels outfitted with high performance Bridgestone tires. While nothing is official, several sources are reporting the LF-A features an advanced 4.8-liter V10 engine with titanium valves, forged aluminum pistons, dry sump lubrication, and a titanium exhaust manifold. 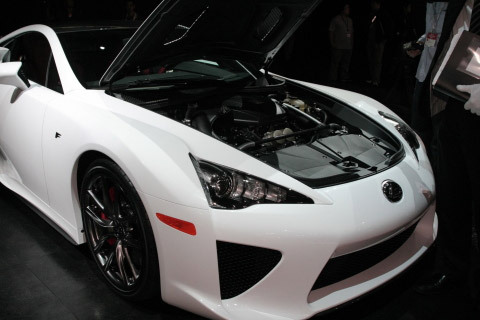 This enables the V10 to produce 560 hp (at 8,700 RPM) and 354 lb-ft of torque (at 6,800 RPM). Backed up by a six-speed sequential transmission, the supercar will accelerate from 0-62 mph (100 km/h) in 3.7 seconds and top out at 202 mph (325 km/h). 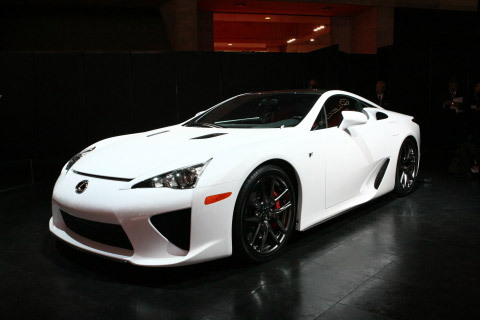 To ensure this kind of performance, Lexus went to great lengths to reduce the LF-A's weight. 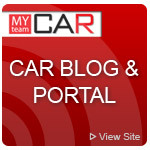 If initial reports are correct, the car will tip the scales at 3,263 lbs (1480 kg) - with a 48/52 front-to-rear weight distribution - thanks to the extensive use of carbon fiber. 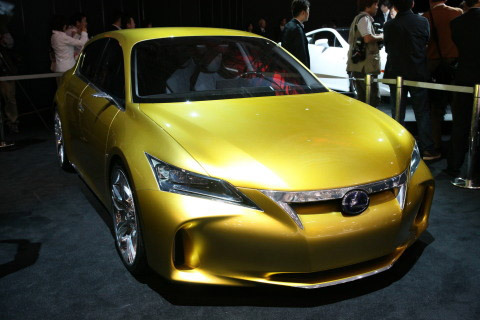 Production will likely be limited to 500 units, although rumors suggest Lexus may build a high performance variant. This stylish premium concept vehicle combines superb dynamic performance with very low emissions.